Art Specialist Jessica Garrick presented at this year’s Washington Art Education Association (WAEA) annual meeting in Tacoma. 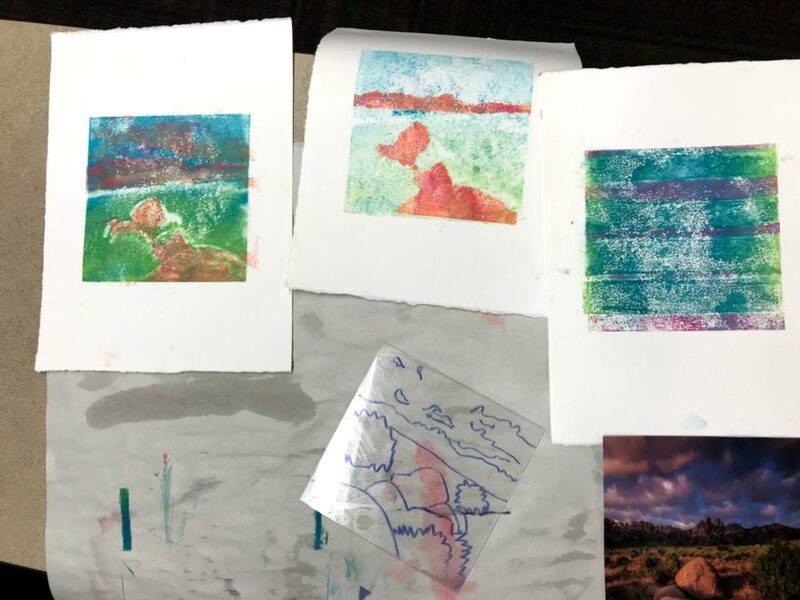 Her hands-on workshop Monotype Printing: Making Multiples, Not Just One-of-a-Kind hosted an above-capacity group of art educators from throughout Washington State. 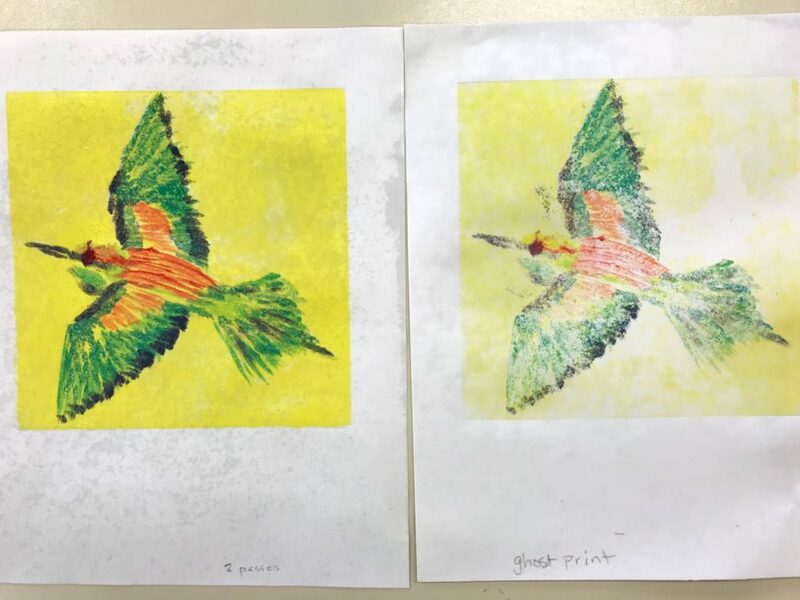 Many traditional printmaking techniques focus on creating a precise copy of an original image while monotype printing usually focuses on the creation of a single image which cannot be reproduced. Jessica’s workshop demonstrated strategies for bridging these two approaches to printmaking, helping artists to use printing as an evolutionary medium for producing a body of work with a common theme or concept. Artists used plexiglass plates to trace an original image. Next, they used various techniques to apply ink and prepare their plates for printing. As each image was transferred to paper, artists were encouraged to also make a ghost print or second copy from the plate producing a lighter version of the original. Artists then repeated this process of inking and printing plates in various iterations as the workshop progressed producing related but distinct prints. 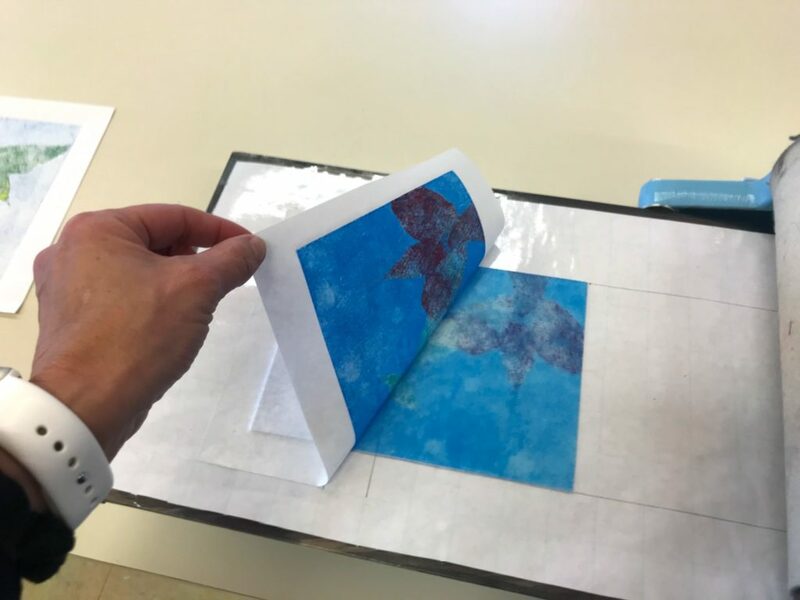 Jessica uses this technique with students to help them test and discover the results of various printing techniques. 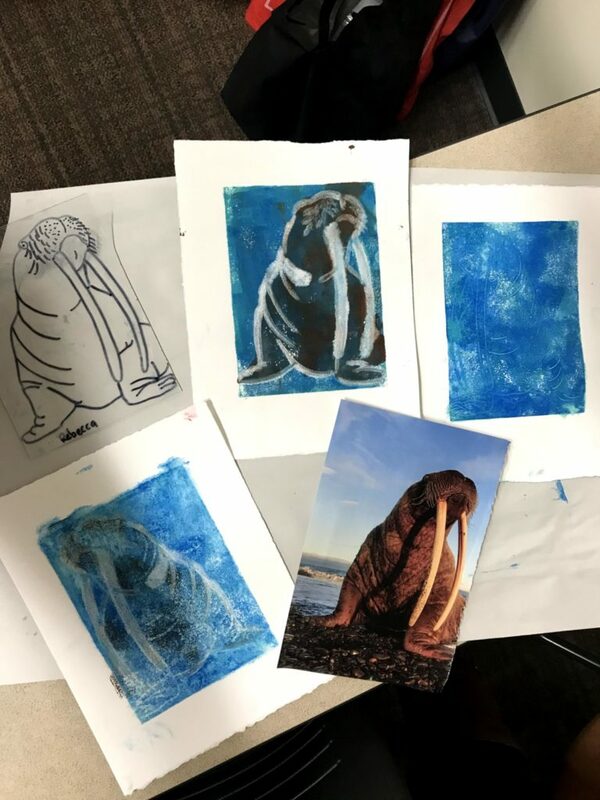 This process, which is easily repeatable, also helps students to gain greater practice with printmaking skills than they might gain with other printing styles. Its improvisational nature frees artists to test new ideas without expectations of a precise outcome. Jessica will also be presenting this spring at the National Art Education Conference in Boston this coming March.